Bonemeal, formerly one of the most popular supplements, is no longer recommended - especially for children because of its possible high lead content. 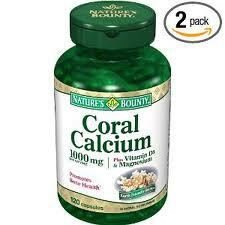 Coral Calcium: This type of calcium is marketed for more than bone health. Its infomercial claimed that it can cure 200 human diseases. However, there is no evidence that calcium can cure any diseases other than its role in bone health and osteoporosis prevention. You may refer this: Coral Calcium Supplements Scam. 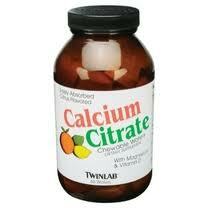 Note: Recommended source for buying best calcium supplements. The letters USP (U.S. Pharmacopeia) on the label indicate that the calcium in the product has met quality standards for dissolving within 30 minutes. Most good multivitamins and mineral preparations include calcium. When combined with magnesium, the ratio should be twice as much calcium as magnesium. If you are taking antibiotics, calcium supplements may inhibit their effectiveness. Calcium supplements are best absorbed when taken with meals. Taking calcium and magnesium at bedtime can help you get a good night's rest. How calcium helps our body? Calcium is our body's most abundant mineral. Its primary function is to help build and maintain bones and teeth. Calcium is important to heart health, nerves, muscles and skin. Calcium helps control blood acid-alkaline balance, plays a role in cell division, muscle growth and iron utilization, activates certain enzymes, and helps transport nutrients through cell membranes. Calcium also forms a cellular cement called ground substance that helps hold cells and tissues together. If you have chronic back pain, chelated calcium supplements might help. If you are a teenager suffering from "growing pains", increasing calcium consumption may help. Menstrual-cramp sufferers can often find relief by increasing calcium intake. If you consume lots of soft drinks, which are high in phosphorus, you may be depleting your body of calcium and increasing your chances of osteoporosis. Remember, too much phosphorus can deplete calcium. The body loses bone density during extended bed rest, so you need extra calcium if you have been bedridden for a week or more.